We are offering Metal Bellows Couplings to our clients. We are manufacturer of Jaw Coupling. We are among the leading manufacturers and exporters of a wide range of Steel Couplings that are meant for our respected clients. Our product range is checked on varied parameters for its effective performance. In addition to that, our Steel Couplings are designed with the assistance of ultramodern technologies. All metal flexible couplings for higher temperature and hazardous environments. Stainless Steel Flexible Member. 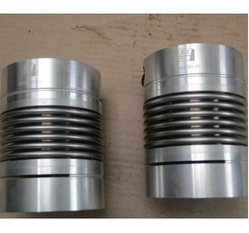 To meet the variegated demands of the clients, our company is instrumental in offering excellent quality range of MS Coupling. 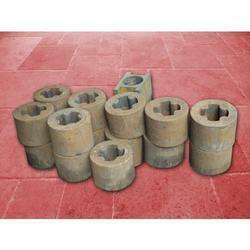 Keeping in mind the vast necessities of the patrons, we are engaged in providing a wide range of Spidex Coupling. A coupling is a device used to connect two shafts together at their ends for the purpose of transmitting power. A coupling can be rigid or, more normally, it can be flexible allowing relative radial, axial or angular movement of the two shafts. The coupling transmission is not designed to engage-disengage as a normal operation.